It was while reading a book recently (or was it a blog?) 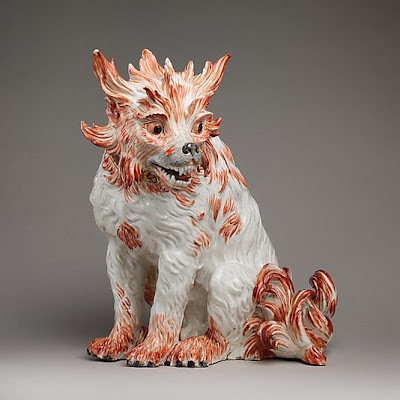 that I first came across the image of the Meissen Bolognese Dog, above. (For the life of me, I can't remember in which book I first saw the dog.) 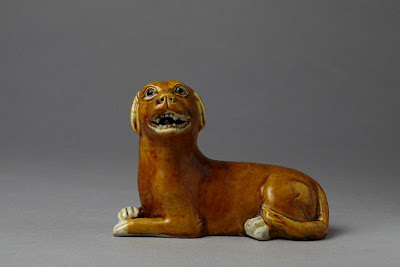 Anyway, I later discovered that the dog, or a similar one, is in the collection of the Metropolitan Museum of Art. 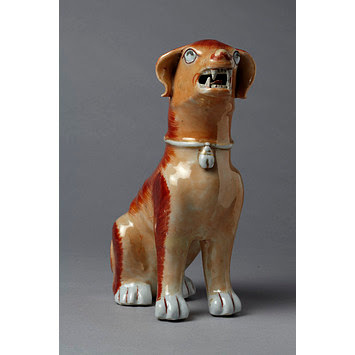 Modeled by Johann Gottlieb Kirchner around 1733, the porcelain figure is really very striking and fascinating too. I admit that it's a little odd that such a gnarly and rather ferocious looking dog could capture my attention. Yes, there are a lot of pretty porcelain puppies out there, but I think it's time to give a less-fortunate looking one a good home. 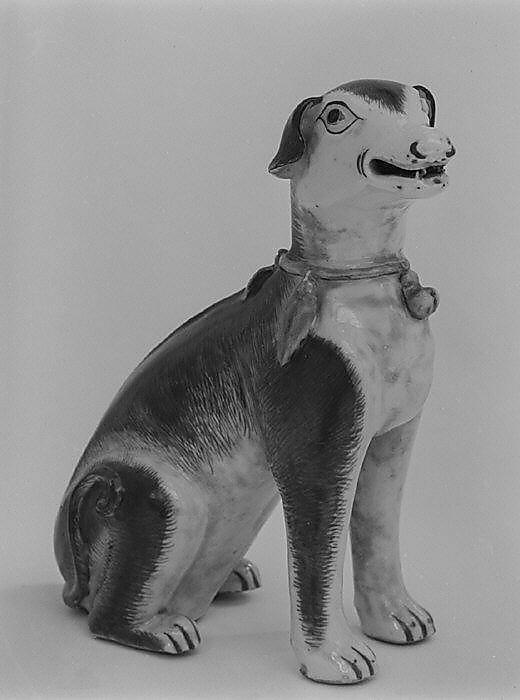 Porcelain dog, Chinese, c. 1750-70, collection of the Metropolitan Museum of Art. 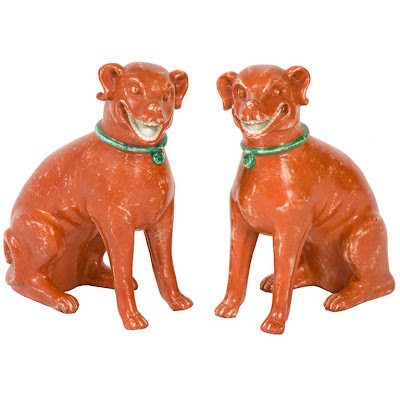 A pair of Chinese Export dogs, c. 1780-90, available through George Subkoff Antiques. Chinese Export dogs, one with a puppy on its back, c. 1850, available through Kentshire Galleries. Thank goodness for those great old prints that keep on keepin' on, and we have Brunschwig & Fils to thank for many of them. There is Le Lac, Les Touches, La Portugaise, and another print whose name does not begin with a le, la, or les: Chinese Leopard Toile. I've long admired this peculiar print, one in which in Chinese scenes are surrounded by intertwining red garlands, all set against a backdrop of leopard spots. I think that this eccentricity is what makes the print so charming. 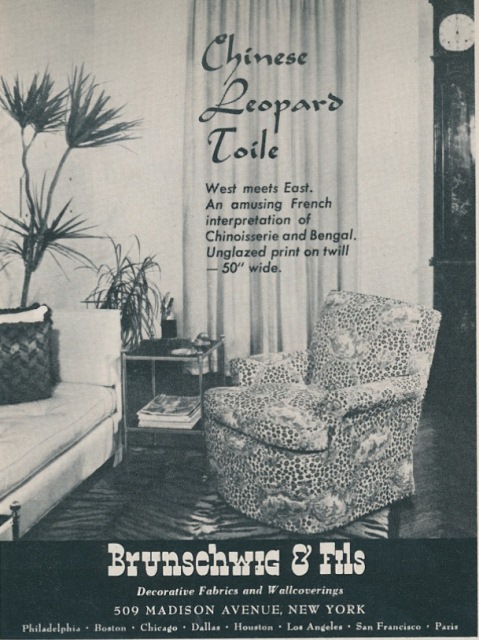 I did a bit of digging, and thanks to a 1966 New York Times article, I found out that Chinese Leopard Toile was not only a favorite of Elsie de Wolfe but of Billy Baldwin too. 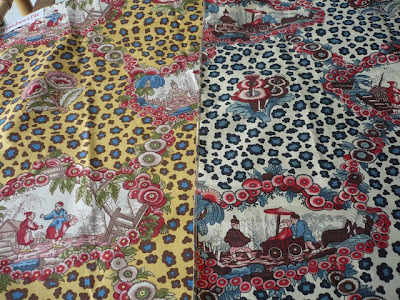 (In the article, Mrs. Brunschwig said that Baldwin used "lots and lots" of this fabric.) 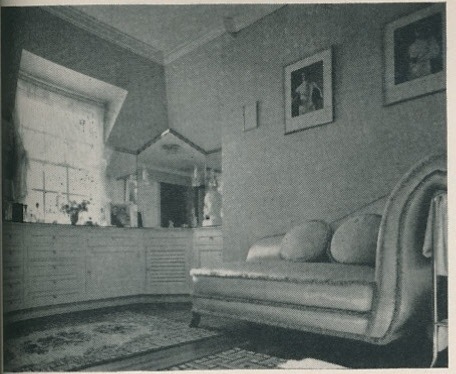 I have consulted all of my books that contain de Wolfe and Baldwin interiors, and unfortunately I can't find a single photo which shows their use of the fabric. 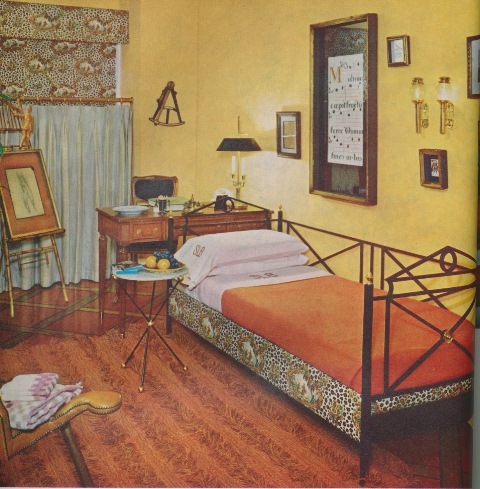 I did manage to find a McMillen Inc. designed interior in which the fabric was used on chairs and curtains, and I also uncovered a photo from an old House & Garden book. 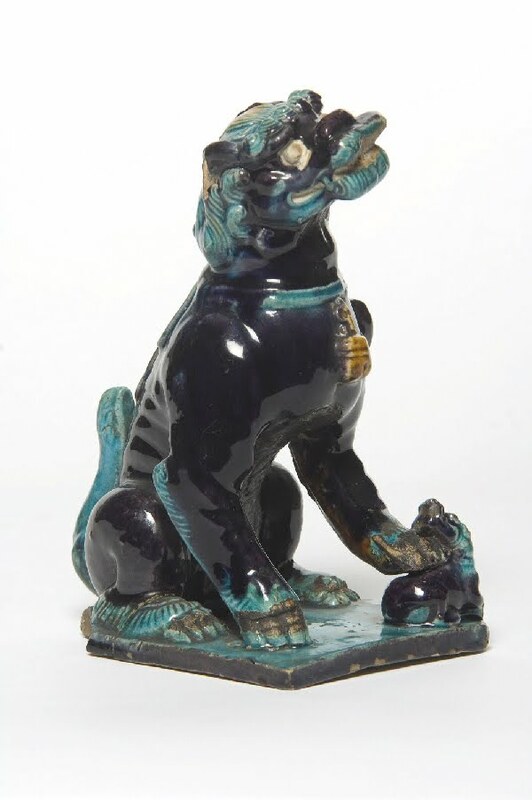 According to the Times article, the original colorway for Chinese Leopard Toile was shades of red and blue, though a version with a yellow background was later added. Fortunately for us, both are still available. In both the McMillen and House & Garden photos below, it appears that the colorway used is different from what Brunschwig currently offers. While I get that this print isn't for everybody, it has such an interesting history that it should be admitted to Fabric Hall of Fame- if there was such a thing. Oh, and cost of Chinese Leopard Toile in 1966? $5.80 a yard! 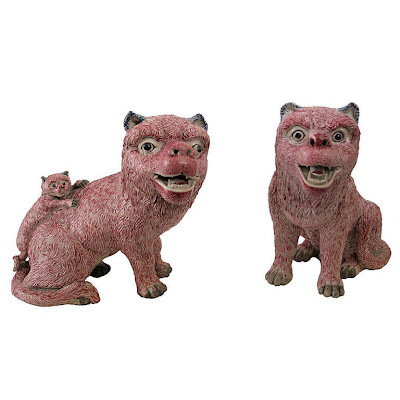 Chinese Leopard Toile as used by the designers at McMillen Inc. 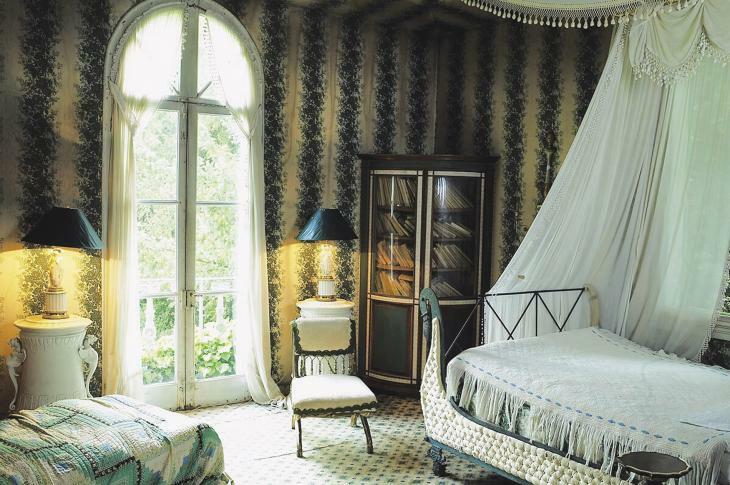 Designer Rhoda Bright chose the print for window shades and a mattress cover. You can see a close-up of the two colorways currently available. I pulled these two samples at the Brunschwig & Fils/Lee Jofa showroom at ADAC. 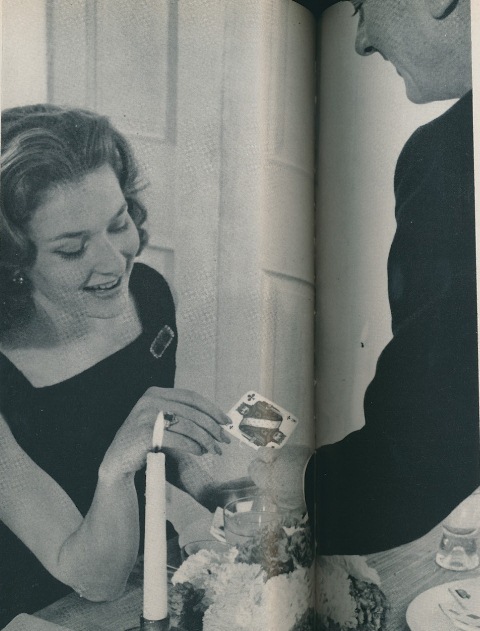 Speaking of jazzing up one's style of entertaining (I'm referring to yesterday's post on Peter Callahan), I found this timely article in the February 1960 issue of House & Garden. The article was titled "Party touches your guests will talk about". Truthfully, some of the suggestions were either corny or far too time-consuming. Case in point: "At each place set a tiny basket filled with a bouquet of radishes cut in the shape of flowers, plus watercress for foliage and stalks of celery and olives for added greenery. To be admired, then nibbled while the first course is being served." Um, I don't think so. But some of the ideas weren't half bad. I'm especially taken with the idea of using vintage ice-cream molds to turn out a good looking dessert. (See below.) Anyway, here are some of the better suggestions that I can see using at future dinner parties. I even added my thoughts on how I might interpret these ideas for my own parties. Cards or flowers to match up make a game of dinner seating. 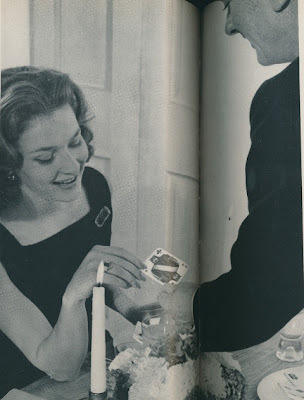 As your guests go into the dining room ask them to pick a playing card from one of two baskets- the men's containing Kings and Jacks, the ladies', Aces and Queens. Guests find their places by matching their cards to those you've put on the napkins, alternating ladies and men. If you are serving at small tables, ask everyone to choose a flower from a basket containing blooms in as many different colors as you have tables. 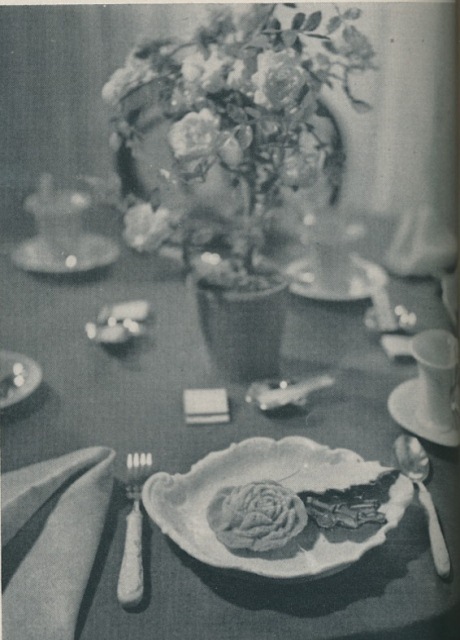 Each guest looks for the table with a centerpiece in the same color as his flower. Okay, it's a little silly, but I kind of like this tip. Since my dining room is small, I might forgo the cards in favor of a basket of colored flowers. 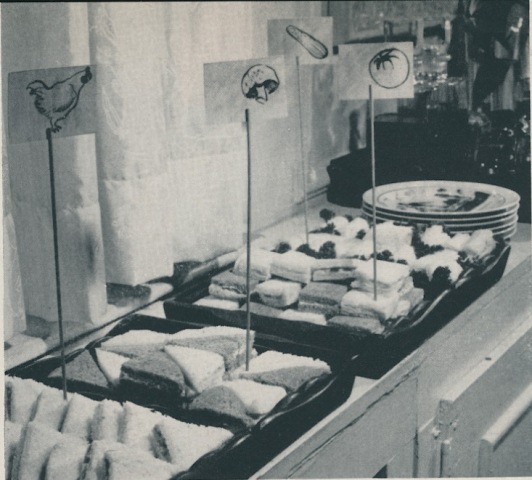 Picture markers for trays of sandwiches are both decorative and informative, guiding your guests to the fillings they like best. You can buy French parchment markers like these or make your own. If you're no artist cut out appropriate pictures from children's coloring books or seed catalogues. Or if pretty printing is your forte, skip the pictures and write out the contents of the sandwiches in colored inks. Fix markers to the sandwiches with long Japanese bamboo skewers so that they are easily visible. For a tea or ladies luncheon, I would absolutely use markers like these. They're easy to make, and with the aid of a computer and printer, you could use all kinds of chic motifs. I'm just trying to figure out what drawing to use for Pimento Cheese sandwiches. 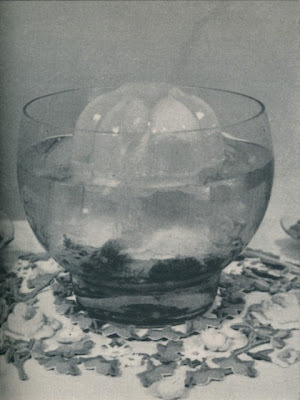 Molded ice with embedded fruit and leaves makes a romantic cooler for a punch bowl. Use any lidless mold, or, lacking that, a cardboard ice-cream container. Fill partly with water and freeze. Then place on top of the ice a layer of whatever you'd like to look at (we used strawberries and rose geranium leaves for this fruit punch), fill to top with water and freeze again. Here the design is repeated by wool felt roses and berries taped to cloth. I'm not crazy about the way the ice mold looks in the punch bowl in the photograph, but in the right sized bowl, a bombe of ice would look really nice. Flower-shaped ice-cream molds turn out your desserts in style, ready to be garnished with a chocolate leaf cookie. You can get many designs in old or new ice-cream molds, any of which will be a refreshing change from the standard scoop. Just pack the molds with softened ice cream or sherbet and re-freeze. Loosen the contents before you open molds by wrapping them for a second or two with a hot dish towel. Yes, yes, and yes. I plan to find a vintage ice-cream mold in the shape of a flower or a fruit. I found one online in the shape of an asparagus stalk. How about molding some pistachio ice cream and then drizzling it with Crème Anglaise (to resemble a Hollandaise sauce.) Kind of weird but kind of fun. 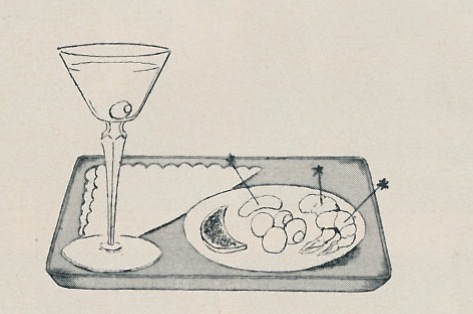 Tiny cocktail trays are the simple solution to cocktail party juggling. On each tray place an individual plate of hors d'oeuvre, a cocktail glass and napkin and an ashtray with matches. Fly-weight Japanese lacquer trays come in just the right size- and in wonderful colors (have a different color for each guest). This seems a little cumbersome and not as handy as the magazine claimed. But, if you're doing heavy hors d'oeuvres, it might work. Pearl River would be the place to go for small lacquer trays. Of course, most of us can forgo the ashtray and matches. 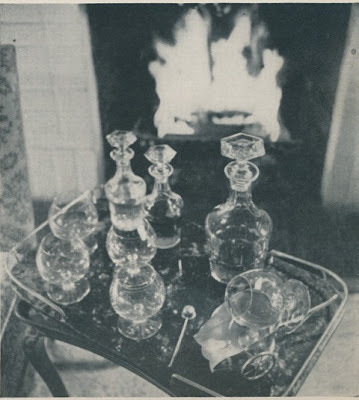 Italian brandy warmer on a liqueur tray adds an extra touch of pomp and circumstance to the brandy-and-cigars pleasance. You might include two kinds of brandy-perhaps a fine and an Armagnac- for discriminating brandy drinkers, and, for non-brandy drinkers, a white fruit liqueur like kirsch or framboise. I might skip the brandy warmer, but I do like the idea of putting out a tray of after-dinner drinks. (Sometimes, I skip dessert in favor of a glass of B&B.) It's a nice way to keep the conversation going. Peter Callahan & "Bite by Bite"
As I have already mentioned numerous times before, I like to keep my entertaining simple. I have always believed that there is an elegance inherent in simplicity. And yet, I'm starting to think that from time to time, an event could benefit from a dramatic flourish or two. 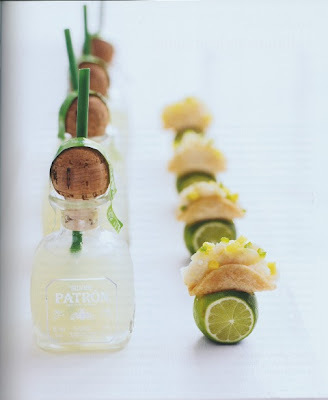 I suppose that I can attribute this reconsideration to Peter Callahan's new book Bite By Bite: 100 Stylish Little Plates You Can Make for Any Party . Callahan is one of Manhattan's top caterers, counting Martha Stewart and Kate Spade as fans and clients. He is also the person responsible for the popularity of serving passed mini-hamburgers at parties, having been the first caterer to do so. In fact, Callahan is the king of bite-sized, comfort food hors d'oeuvres, having managed to craft Lilliputian versions of Spaghetti and Meatballs, Lobster Rolls, and Croque Monsieurs. Now, to those of you who are purists when it comes to food, miniature sized hot dogs might seem a little silly. I have to admit that I too was a little skeptical. 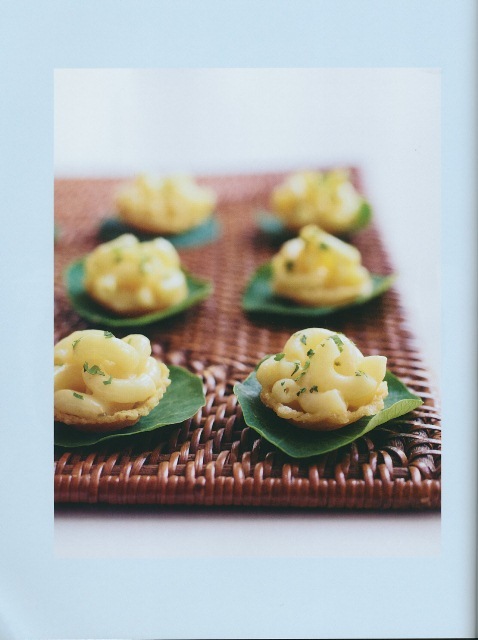 But Callahan makes a good point throughout his book: these novel hors d'oeuvres not only taste good and are easy to eat, but they add to the festive atmosphere of an event. They help to set the tone for a fun party. Because of my travel schedule, I have not yet had the chance to test drive any of the book's recipes. 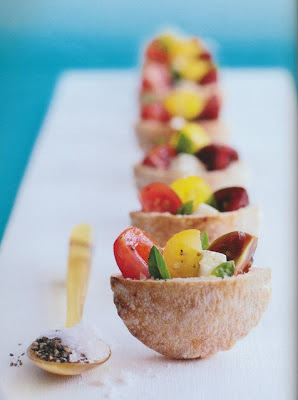 There are some appetizers that I could see serving to guests at a small cocktail party like the mini Croque Monsieurs or Salmon Tarts. Other recipes require more time and effort, so I might save those for a large event or, better yet, I might have my caterer make them. What I like about this book is that it made me realize that perhaps it's time for me to kick up my style of entertaining a notch or two. 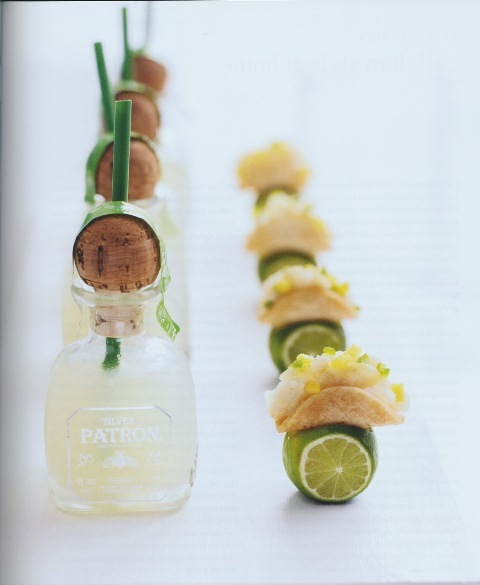 If you're going to the trouble and effort of hosting a soiree, why not serve something that will get your guests talking...and talking in a good way. If you need a little more convincing, I asked Peter to share his thoughts on his signature style of catering. For those of you who might want to prepare a recipe or two for a small, casual cocktail get-together, Peter suggests trying the Caprese Tea Sandwiches as well as the Mac and Cheese. "You can make the tart shells ahead and they are so delicious." 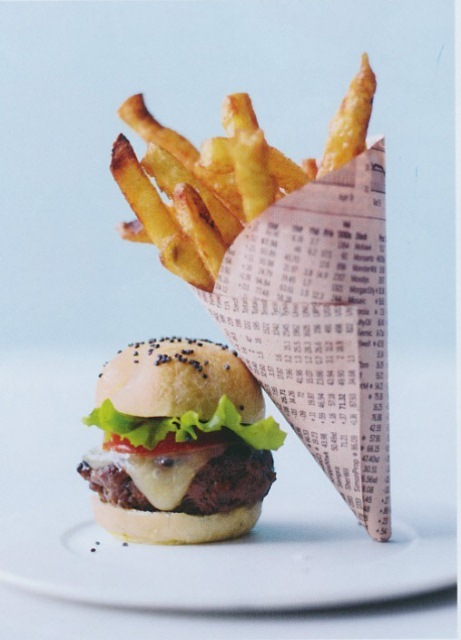 Peter also recommended rounding out the menu with cones of frites. Peter's favorite recipe in the book is that for his mini burgers. "We were the first to do this size, and it still never ceases to amaze guests who haven't seen them the size of a quarter before. With my tip of punching out the burger buns with a cookie cutter, you now can do this in a jiffy." Food presentation is important to Peter. After all, it needs to live up to the novelty of the hors d'oeuvres. 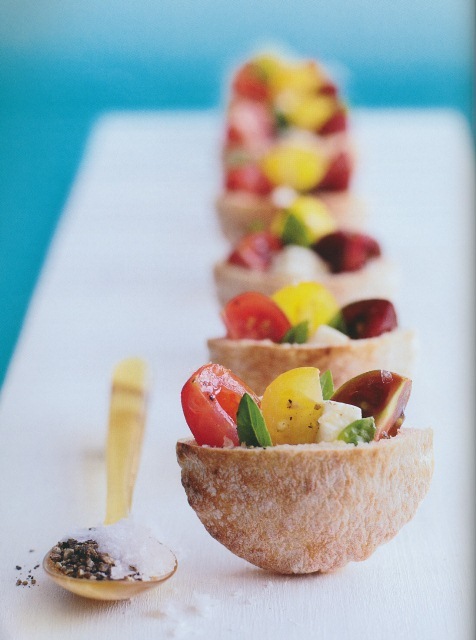 Many of his serving pieces have been custom designed specifically for the hors d'oeuvres they hold. However, Peter does give the reader suggestions for ways that we can serve the tidbits at home. "If you are serving any of my lollipops, use a tray that has blocks of florists oasis in the bottom and then cover the top with m+m's in whatever color looks best; then stick the [lollipop] stick in the oasis. 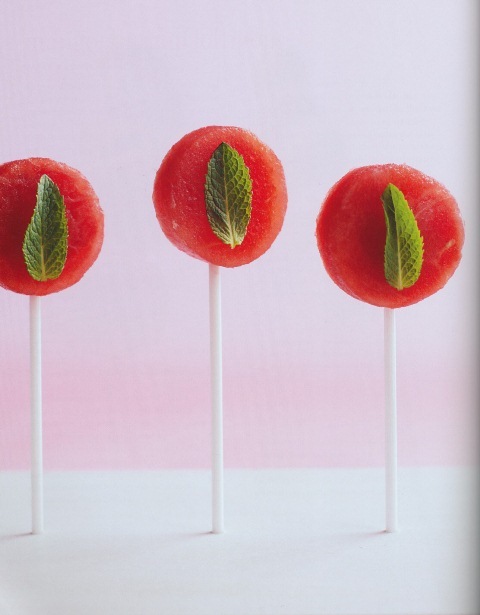 Perhaps use some dried green lentil beans for savory lollipops. A simpler tip is to always space hors d'oeuvres evenly on the tray and have one kind per tray- it makes them look dressier." 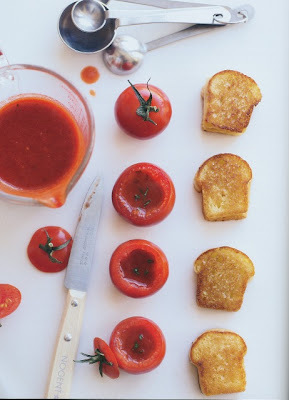 For those of you who are still unsure about these tiny appetizers, I asked Peter to name the one recipe that will win you over. "Mini grilled cheese and be sure to put in aged gruyere. There is so much flavor in that one biteful and then it becomes addicting and you need more. Everyone will be begging for these again!" 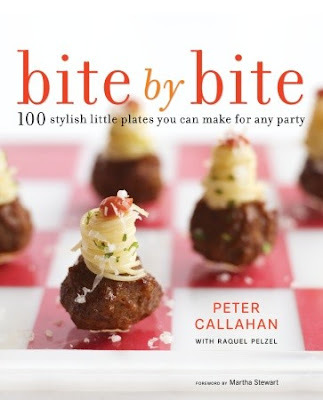 All images from Bite By Bite: 100 Stylish Little Plates You Can Make for Any Party by Peter Callahan. Con Poulos photographer; Clarkson Potter publishers. 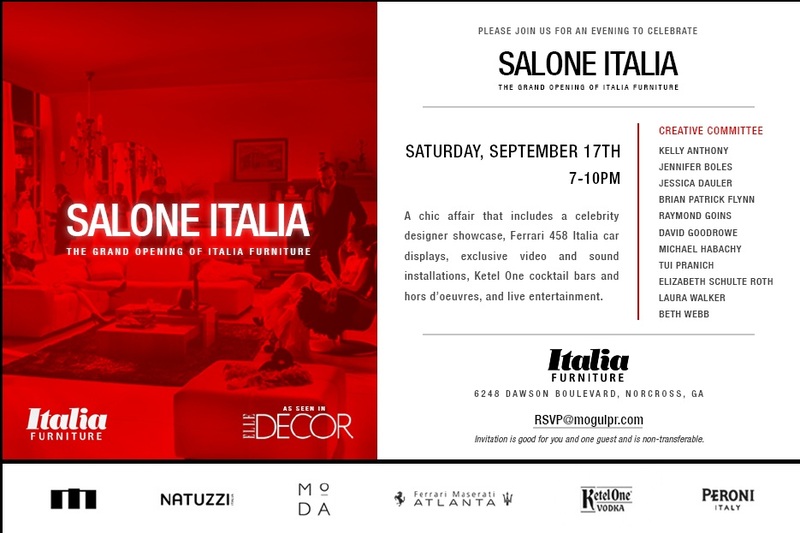 I would like to invite Peak of Chic readers to join me this Saturday evening for Salone Italia, an event to mark the opening of Italia Furniture in Atlanta. 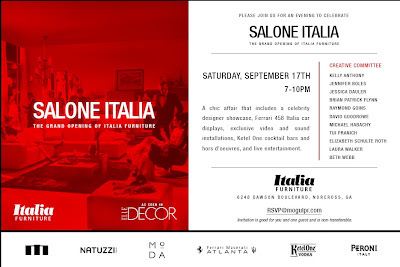 The party, which benefits MODA (Museum of Design Atlanta), will be a celebration of Italian design. Talented designers like Brian Patrick Flynn, Laura Walker, Beth Webb, Raymond Goins, Michael Habachy, and Tui Pranich have all designed vignettes that will be unveiled Saturday night. Also, the new lineup of Ferrari 485 Italia cars will be on display as will a collection of vintage Ducati motorcycles. Cocktails and light Italian fare will be served. I have a list of stylish movies that I want to profile on my blog, but lately I haven't had the time to watch them. (Capturing screen shots of a movie's interiors takes forever.) But, I did find an article in the April 1941 issue of House & Garden which featured the dressing and powder rooms in the homes of the leading movie stars of the day. Sounds like something that InStyle might feature today. Anyway, the rooms are as glitzy as one might expect though they're actually not tacky at all. 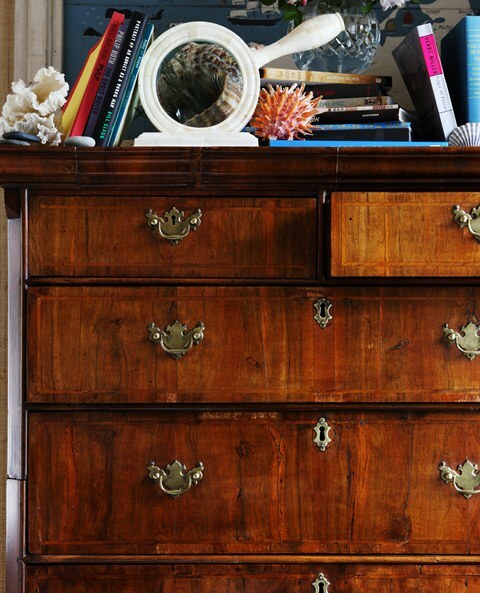 Look closely at the photos and you just might get a few ideas for your own dressing room. The dressing room at the top of this post and the powder room above were in the home of actress Joan Bennett. 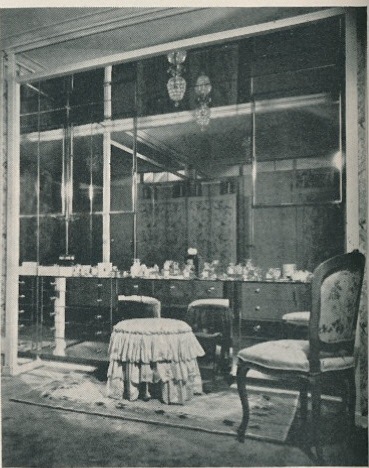 Her mirrored dressing room was awash in seafoam green and pink which evidently matched her boudoir. The wallpaper and the chintz on the chair were the same pattern. 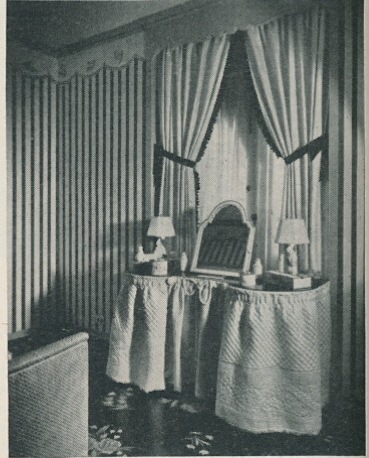 The powder room, located downstairs in Bennett's home, was green and white striped. The floor was covered in hand-painted floral black canvas. 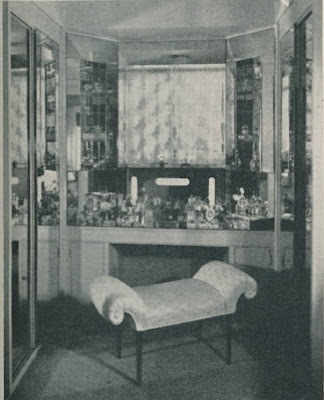 In 1941, Bennett shared this home with her husband, producer Walter Wanger. It's interesting to note that ten years later, Wanger shot and injured Bennett's agent, Jennings Lang, with whom Wanger believed Bennett was having an affair. Bennett denied the affair. Needless to say, it caused quite a scandal at the time. 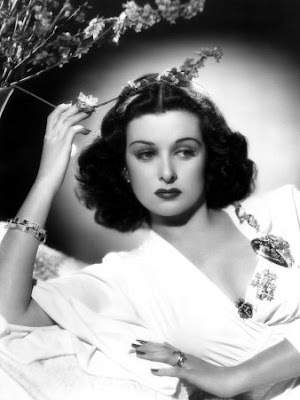 And to think that Bennett played the prim and proper mother in "Father of the Bride" and "Father's Little Dividend"! 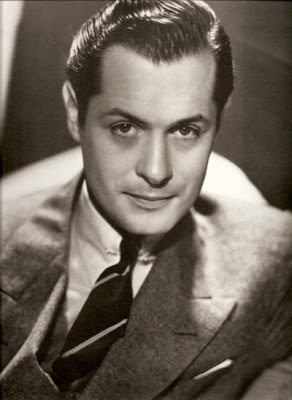 Only one masculine dressing room was featured in this article (although I would add that it's not terribly masculine): that of Robert Montgomery. His room featured photographs of fencers on the wall. (As it turns out, Montgomery was a fencer.) Note the mirrored corner. 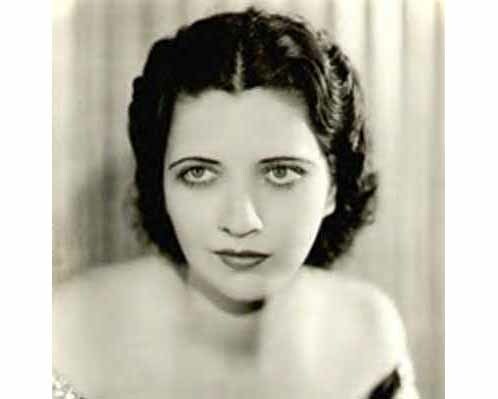 I have to admit that I usually like any Kay Francis movie that I see. That might be because most of them are a little tawdry. But, there is nothing tawdry about Francis' dressing room, one which H&G notes was carefully lighted to avoid casting any shadows on Francis' face. 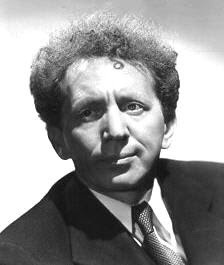 Of all of the dressing rooms featured in the article, that of Mr. and Mrs. Sam Jaffe might be my favorite. Yes, it's small, and I'm not so crazy about that frilly stool (it looks like it's wearing a petticoat.) But, I do like the use of mirror, not to mention the wall lined in Godey prints. All images from House & Garden, April 1941. 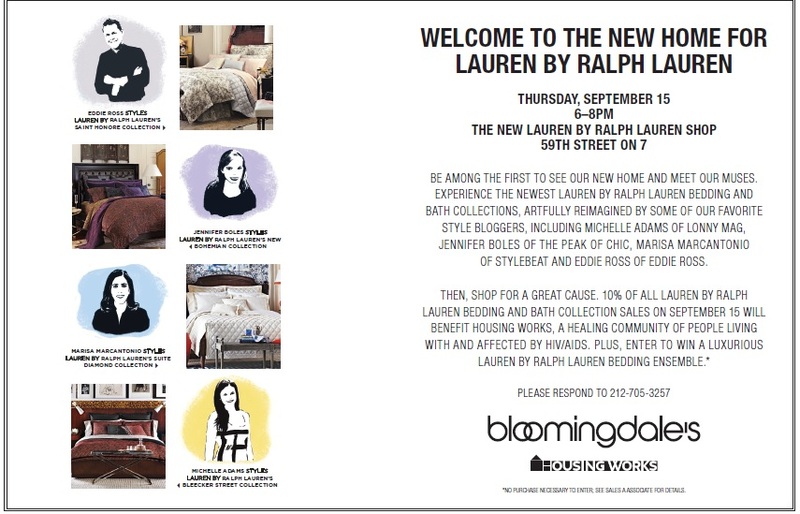 I'll be out of town for the rest of the week in order to attend the Lauren Home shop launch party on Thursday at Bloomingdale's. (Click here to see the invitation with full details. It should be a lot of fun so I would love for you to join me.) In addition to featuring our vignettes in both the Bloomingdale's Fall Home Book as well as on the retailer's website, Lauren Home and Bloomingdale's asked us to answer a few questions about our likes, our styles, and our thoughts on design. You can see my answers above (done Mad Libs style), though you might have to click on the image to read it clearly. Some of you will be happy to see that Alfie is even mentioned in the questionnaire portion. Anyway, I'll be back to posting next week, but in the meantime, I hope to see you tomorrow night! Fall is approaching, and as we know, this is the season that every book lover anticipates. 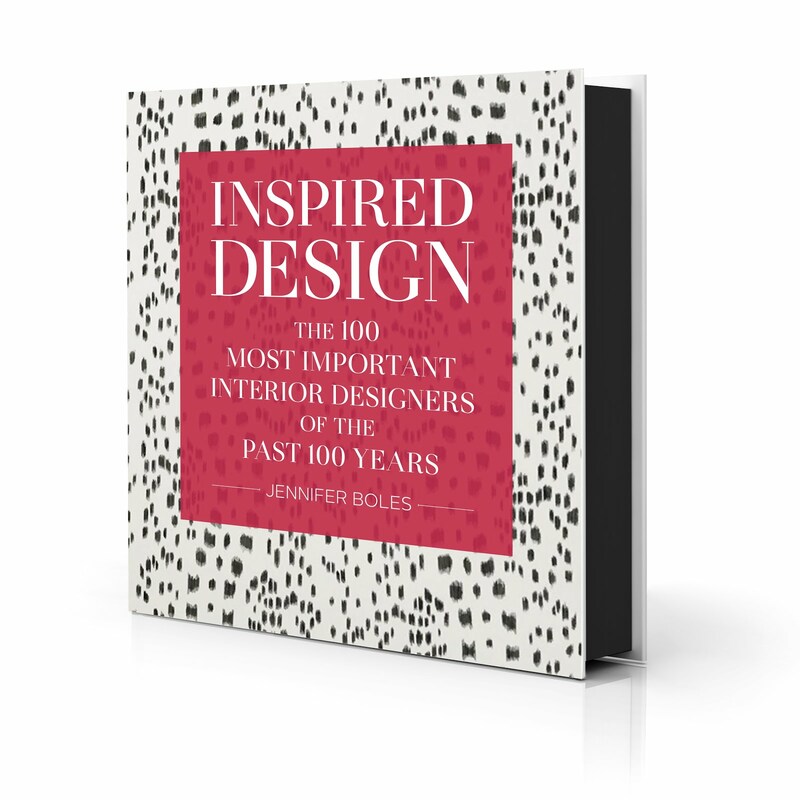 I have already started receiving review copies of design and lifestyle books, and based on what I've read thus far, it would seem that we need to start clearing space on the bookshelves for these new releases. 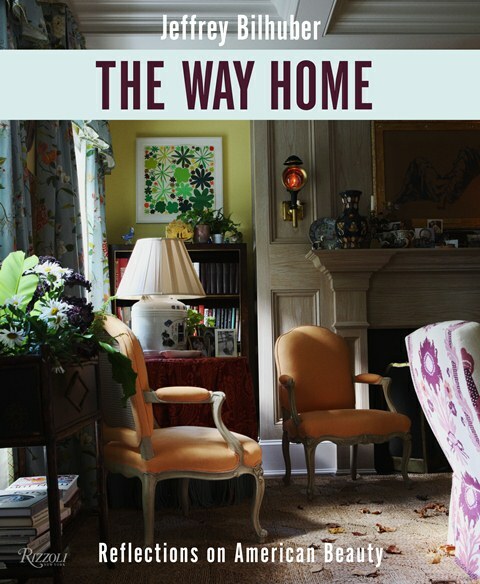 First up is Jeffrey Bilhuber's The Way Home: Reflections on American Beauty (Rizzoli New York, October 2011.) I've long been a fan of Bilhuber's classic American design, so I was eagerly awaiting his latest book. It's really an interesting departure from his last two books and from the design book genre as well. 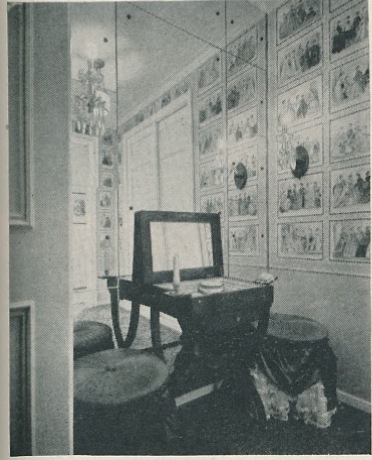 The book's focus is not on the way a Bilhuber room looks in pristine condition, but rather as it appears after the homeowner has lived in it for a while. As Bilhuber writes in his introduction, "...the projects I'm presenting here, are those that I feel speak volumes about the people who live in them: they reveal home truths rather than, like so many American interiors, constructing domestic fictions about desired lifestyles." This approach to chronicling interiors is certainly a breath of fresh air. So many times, one sees an interior that looks perfect, and yet it's that very perfection that strips the room of any real character. The book's photos, taken by the talented William Abranowicz, show the daily detritus with which we all live: books on the floor; newspapers on an ottoman. (I have to say, though, that in some of homes, the messiness stressed me out a bit. But, I'm a neat freak so that's my cross to bear.) 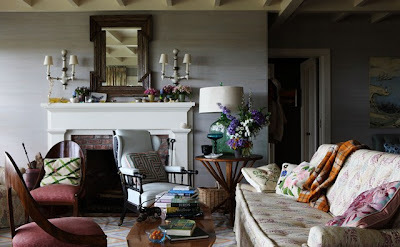 The fact that the homeowners' personalities are so evident in these interiors did not seem distracting to me. I actually think that each of the rooms shown has added dimension because of it. I believe that if you're a fan of Bilhuber (who, by the way, has such a way with color) or if you're someone simply curious about how others live, you should consider taking a look at this book. All photos from The Way Home: Reflections on American Beauty by Jeffrey Bilhuber, William Abranowicz photographer, Rizzoli New York, October 2011. 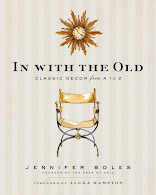 I just received word that Winterthur's annual design conference, Chic It Up!, will be held on October 9 and 10 at Winterthur. This year's event focuses on 1960's interior design and the contributions that Henry Francis du Pont made both to Winterthur and to the design world during that decade. 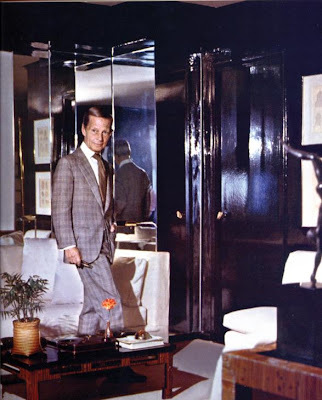 After all, du Pont was friends with such luminaries as Diana Vreeland, Billy Baldwin, Millicent Hearst, and Jackie Kennedy. 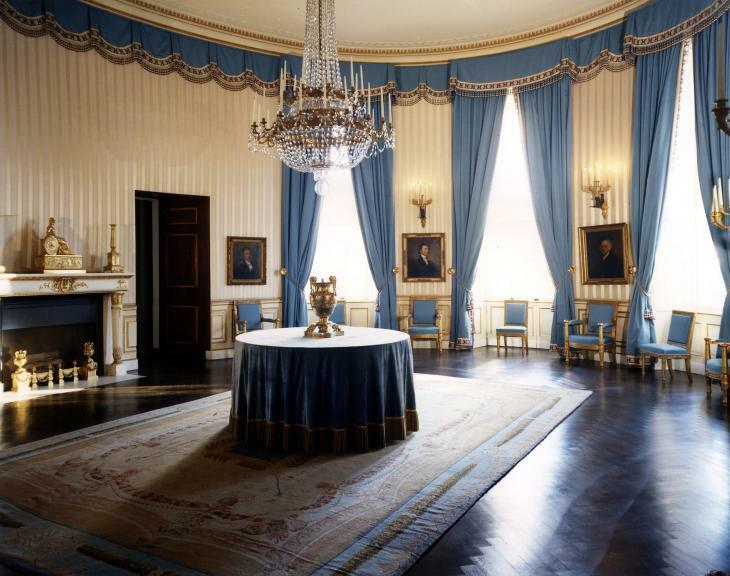 In fact, you might recall that Kennedy appointed du Pont to be chairman of her committee to refurnish the White House, something which I'll explore in a future post. This year's lineup of speakers includes Adam Lewis speaking on Billy Baldwin, Emily Evans Eerdmans discussing Madeleine Castaing, James Archer Abbot holding forth on Maison Jansen, and Mitchell Owens expounding on Swinging 1960s Style. I have heard both Lewis and Eerdmans speak before, and they are both interesting and engaging speakers. And although I have never had the opportunity to attend a lecture given by Abbot nor Owens, I hear that they too are most impressive. Can you imagine a better way to spend the day than to learn more about 1960s design? I can't. Later in the day on the 10th, there will be workshops that one can attend led by Winterthur's own Maggie Lidz, Tom Savage, Jeff Groff, and Linda Eaton as well as other Winterthur historians. I have heard this group lecture before, and they too will knock your socks off. And there is even an optional tour the day before of private homes in the area including one whose dining room appeared in Thomas Jayne's recent book, The Finest Rooms in America . Unfortunately, I won't be able to attend this year's event because of a prior commitment. I am sick that I'll miss it because the Chic It Up! event that I attended two years ago was one of the best conferences that I have ever attended- truly. This is why I urge you to make plans to attend. You really won't be sorry. And if my ebullience seems a little over the top, just know that I am not receiving any type of compensation for this plug. I am doing it solely because I think that Winterthur is one of our country's great treasures. For more information, visit www.winterthur.org/ciu or call 302-888-4786. The Dining Room at The Big Bend, one of the houses that is part of the optional tour. 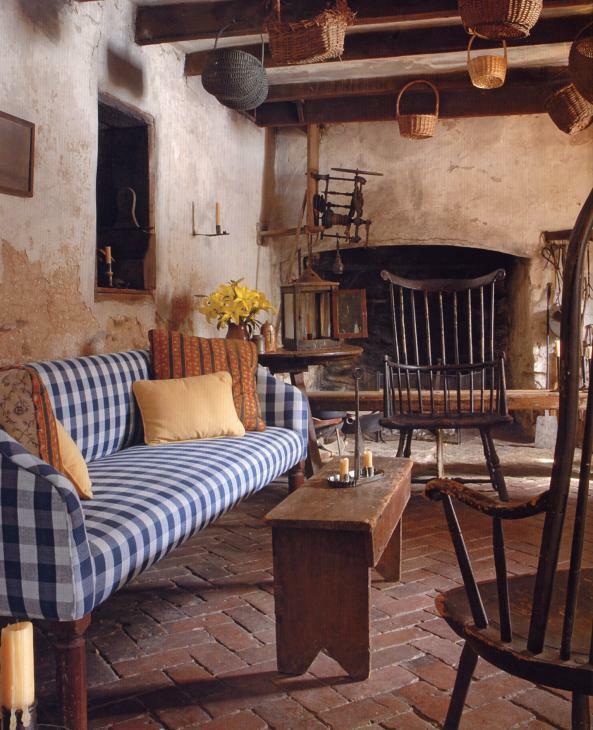 Photo courtesy of The Finest Rooms in America (The Monacelli Press, 2010) by Thomas Jayne. Photo by Kerri McCaffety. Madeleine Castaing's Winter Bedroom at Maison de Leves that will be discussed by Emily Evans Eerdmans. Photo from The World of Madeleine Castaing (Rizzoli, 2010) by Emily Eerdmans, courtesy of Sotheby's. Adam Lewis will speak on design legend Billy Baldwin. Photo by Horst, from Billy Baldwin: The Great American Decorator (Rizzoli, 2010) by Adam Lewis, courtesy of Adam Lewis. 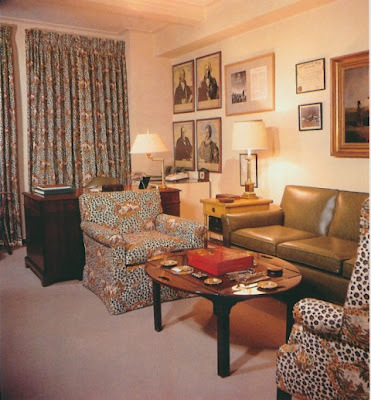 Photo of David Hicks interior, part of the Chic It Up! banner, from from The Best of European Decoration (Reynal & Co., 1963) by Georges Bernier, courtesy of L’Oeil. I'm off to New York next week to celebrate the new Lauren by Ralph Lauren Home shop at Bloomingdale's. The party will be held at Bloomingdale's on 59th next Thursday, September 15 from 6 to 8pm. The bedding collections that Marisa Marcantonio, Michelle Adams, Eddie Ross, and I styled will be on display, and more importantly, 10% of all Lauren by Ralph Lauren bedding and bath collections sales made during the event will be donated to Housing Works. For additional details, please see the invitation above. If you happen to be in the neighborhood, please stop by and check out the new shop. I would love to finally meet some of you in person!